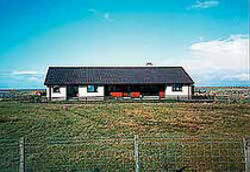 Very comfortable and welcoming modern croft house on working croft with cattle. Set back from main road. Easy walking distance to hotels.